"PEACE is the best!!!" ..."what else....?" apostle of the angels in this day. with a hat,your glasses and the boots. you show us life´s meaning. you even seduce the tears. on the walls,the bridges you´re always involved. to listen and to lend a hand. happy and satisfied you fly with the wind. who even don´t see you. sewed tightly and decorated with stars. in the end you even got the diploma. without tiring you go steady in front. and the people without faith are the smile on your sword. Thanks for remembering us at author-me.com. 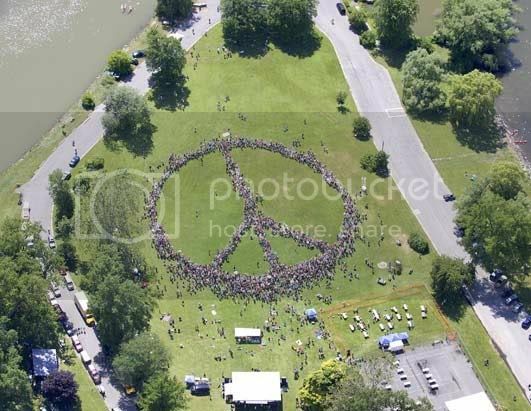 We have placed the video on our world peace article page. See..
All the best to you, Rudy! I wanted to see if I could get your quick help. I'm not sure if you've heard, but there's a movement of citizens inspired by the presidential campaign who are now submitting ideas for how they think the Obama Administration should change America. It's called "Ideas for Change in America." I have been championing an idea for almost ten years , and now its time has come. You can help me where the bureaucrats who supported me could not. Change America and Change the world at the same time!! The top 10 ideas are going to be presented to the Obama Administration on Inauguration Day and will be supported by a national lobbying campaign run by Change.org, MySpace, and more than a dozen leading nonprofits after the Inauguration. So each idea has a real chance at becoming policy. This is the idea that was endorsed by world leadersa almost 10 years ago and never funded - now is an opportunity to make real change happen. Thanks for being part of the moment for change in America. And good luck!